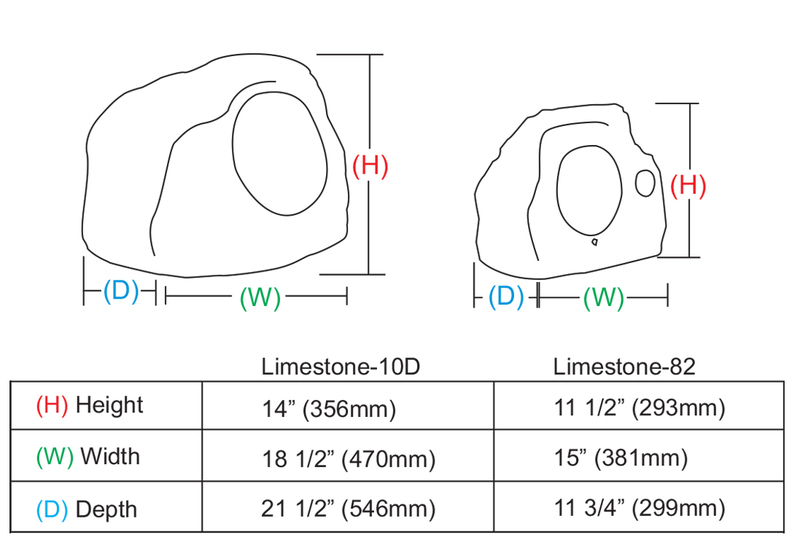 The Limestone-82 speaker and Limestone-10D subwoofer – part of the new ROCK-on outdoor speaker series, are specifically designed to imitate a rock appearance and easily blend in with any outdoor environment. Made with UV treated, weather-resistant enclosure materials and durable epoxy resin construction, the ROCK-on speakers can withstand the demanding outdoor elements. 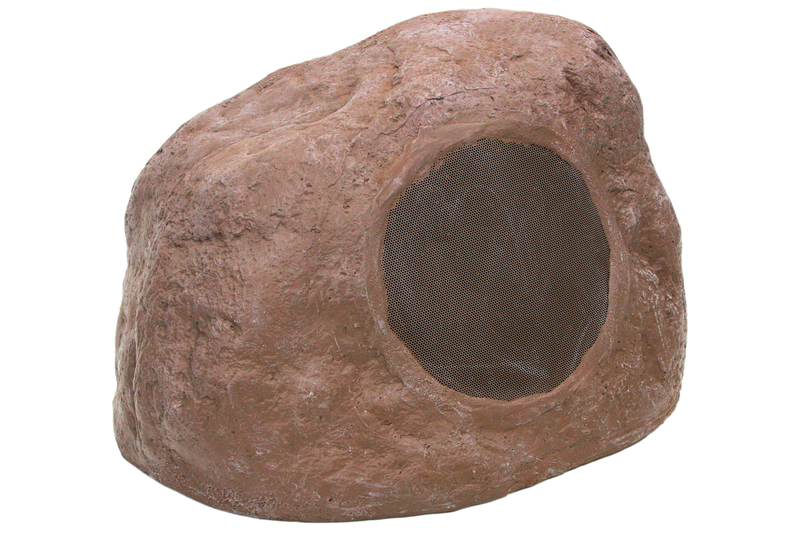 Limestone-82 is a rock speaker with a 8-inch woofer and a 1-inch tweeter. It has an amazing frequency response that is unmatched by any other rock speaker. It produces a clean, accurate sound. The ROCK-on subwoofer, the Limestone-10D, features high power crossovers that reduce distortions and deliver pure sound. Also, Limestone-10D’s port is “S” shaped so water cannot get trapped inside. 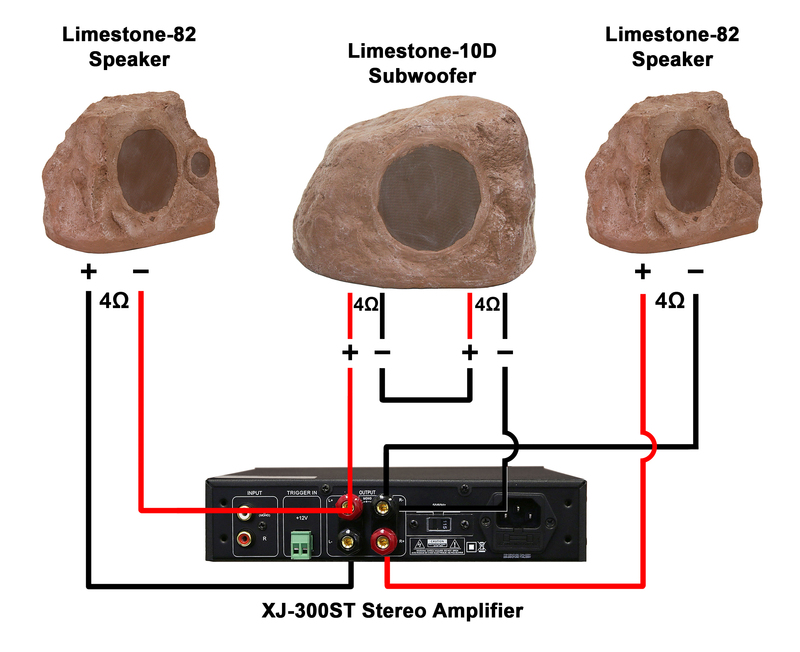 The Limestone-10D brings bass to your outdoor space, something that is greatly needed in today’s rock speaker market. Combined with the Limestone-82 speaker which has a matching finish, you can turn any backyard into an entertainment center. Earthquake Sound’s XJ-300ST Stereo amplifier can be used for your ROCK-ON 2.1 system. In tri-mode wiring the user can connect the 2 channel stereo and the mono at the same time. The subwoofer connection below demonstrates a series wiring formula which has a load impedance of 8-Ohm.